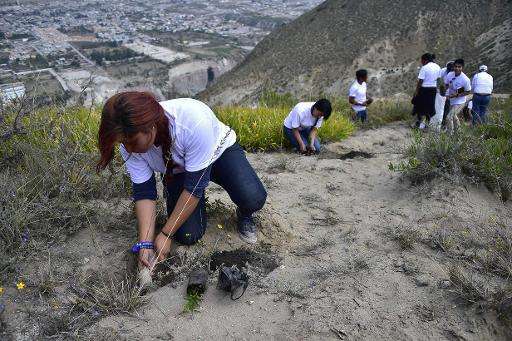 Ecuador broke the world record for reforestation Saturday, as thousands of people pitched in to plant 647,250 trees in a single day, President Rafael Correa said. "I have just been informed that we have broken the Guinness record for reforestation," the president said in his weekly address. 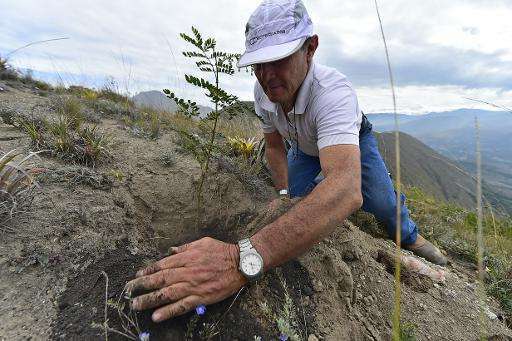 He said several different species were planted and that the reforestation efforts took place all over Ecuador, which boasts varied geography from its Pacific coast, high Andean peaks and low Amazon basin. Environment Minister Lorena Tapia said on Twitter that 44,883 people planted the trees on more than 2,000 hectares of land. The record, set just last year, apparently was taken from a group in the Philippines, Guinness said. Scientists believe planting trees helps offset carbon buildup, as they sequester carbon dioxide emissions from the atmosphere and help to reduce global warming. Ecuador holds several other world records, including the most plastic bottles recycled in one week and the most people buried in sand simultaneously, according to Guinness.